With all the excitement that West Chester restaurants are creating, there’s finally a steakhouse in the borough! 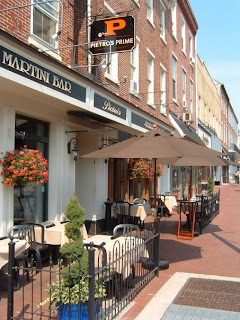 Located at 125 West Market Street, Pietro’s Prime offers excellent service and quality food in a warm and relaxing atmosphere. One lucky winner will win a $25 Gift Card to Pietro’s Prime. Getting hungry? Click here to have Cuisine to Go deliver a delicious steak from Pietro’s Prime right to your door tonight for dinner. Order now for dinner delivery!